Montgomery takes a no-hitter into the sixth, Red Raiders leave 12 on base in the loss. AUSTIN, Texas – No. 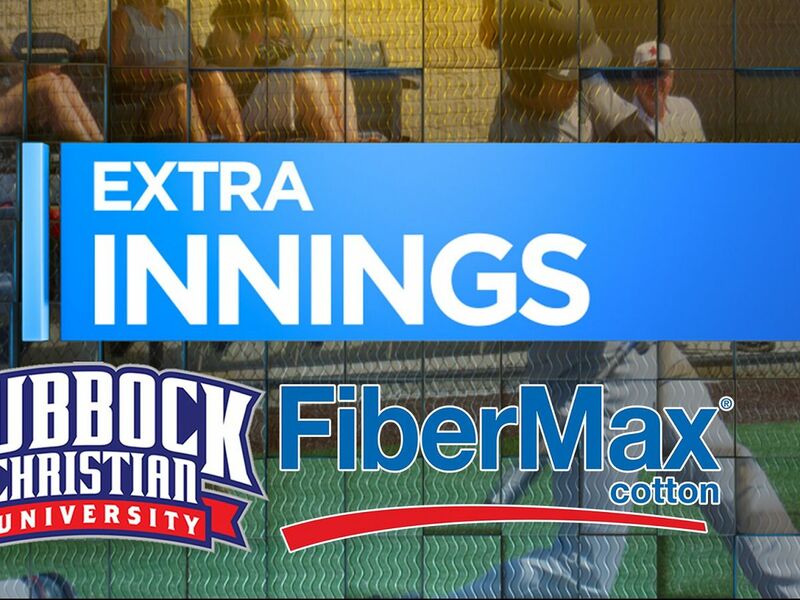 7 Texas Tech baseball suffered a tough 4-3 defeat at No. 10 Texas on Sunday in the rubber match of its Big 12-opening series at UCFU Disch-Falk Field in Austin. Red Raider freshman left-hander Mason Montgomery carried a no-hitter and a 1-0 lead into the sixth inning before Texas (15-7, 2-1) pushed across three runs in the frame and added a key insurance run in the eighth to claim the series victory. The Red Raiders (12-5, 1-2) had their leadoff man aboard in eight of nine innings, but went 1-for-15 with runners in scoring position and left 12 runners on base. After holding the Longhorns to just one hit in a 3-0 win on Saturday, the Longhorns recorded their first hit on Sunday in the sixth with a leadoff single up the middle. UT would then secure two hits off the Tech bullpen with shortstop Masen Hibbeler getting a two-out single to plate two runs and give Texas the lead. Leading 3-1, Texas added a key insurance run in the eighth with yet another two-out hit. A one-out walk and wild pitch put a runner in scoring position for Hibbeler once again, who placed a base hit into left to make it 4-1. The run proved large as a two-run home run from junior Josh Jung in the ninth pulled Tech to within one at 4-3. Jung finished 2-for-3 in the game with the home run, a double, a stolen base and all three of Tech’s RBI. He broke open a scoreless game in the top of the fifth with a double to the corner in left that scored sophomore catcher Braxton Fulford from second. 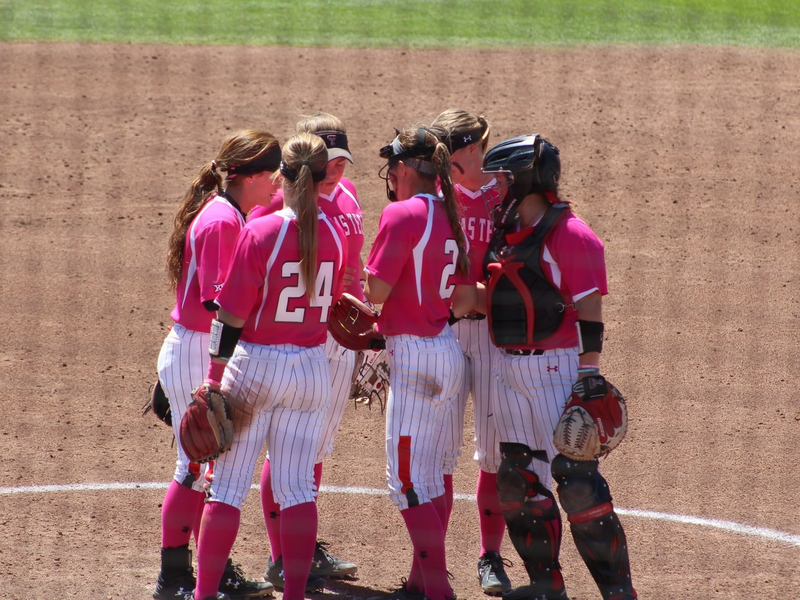 The Red Raiders outhit the Longhorns 22-10 for the series, including a combined 15-9 in its two losses. 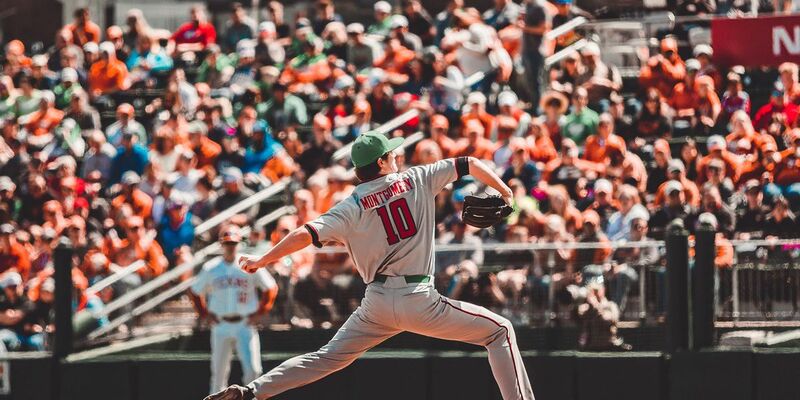 Tech pitchers held the Longhorns scoreless for 16 consecutive innings from Friday to Sunday, including a stretch from the third inning Saturday to the sixth inning Sunday where 47 straight Longhorns were held without a hit. Sophomore Dylan Neuse went 2-for-5 on the day with a steal and a run. He led the Red Raiders at the plate over the weekend, hitting .455 with three walks, a pair of steals and three runs scored. Jung recorded two of his three hits for the weekend on Sunday, including his first home run of the season. He reached base in 8-of-14 trips to the plate with a team-high five walks in the series. Sophomore Gabe Holt went 1-for-4 Sunday with a walk to extend his hitting streak to 11 games. He has now reached base safely in a career-best 32 straight games as he recorded four hits and two walks over the weekend. Reliever John McMillon (0-1) received his first loss of the season, while UT’s Mason Bryant (1-1) picked up the win. McMillon gave up two runs on two hits with a walk in an inning, while Bryant got a pair of strikeouts to help Texas work out of a bases-loaded situation in the sixth. Texas used seven pitchers in the contest after the Red Raiders chased freshman starter Coy Cobb in the third. The Red Raiders had three hits and six total base runners in the first three frames, but failed to crack the scoreboard as they had a runner picked off at first, a runner thrown out at home and hit into a double play. The Red Raiders will now return home for an extended weekend where they’ll host No. 23 Michigan (11-4, 0-0) and 2018 super-regional qualifier Stetson (8-11, 0-0) for five games in five days March 21-25. Tech opens the weekend against the Wolverines on Thursday at 6:30 p.m.